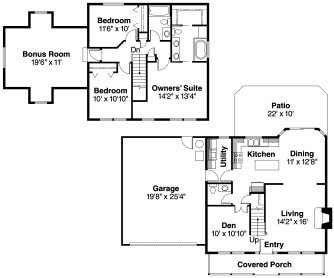 Summary: How much does it cost to build a house in Washington State with a finished basement. The cost per square foot is much less when you include a finished basement. Note: In order for a basement to be considered habitable space, it must have two (2) means of ingress & egress. This can be accomplished with doors, as in an walkout basement, which requires a sloping lot, or with large windows, or with an emergency basement door. The covered porch and shutters give the compact Adkins the look of a traditional farm-style home, but the interior is entirely up to date. Kitchen, dining room and living room flow together, creating a feeling of openness, with nine-foot ceilings adding to the sense of volume. 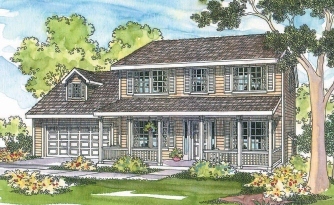 Country Home Plans - Shutters, multi paned windows, and a full front porch create a warm welcome to this country home plan. The living room featuring a fireplace, flows into the dining room then to an open kitchen. A front-facing den, open to the entry, could be used as home office. Bonus Room (Unfinished attic area with more than 78” headroom): 353 sq. ft. Using the 4 corner basement shape for the foundation on the cost to build calculator and for the Seattle, WA area, and Quality Class 5 (Average Standard Quality), I came up with a total cost of $344,874, including a General Contractor markup of $39,372. 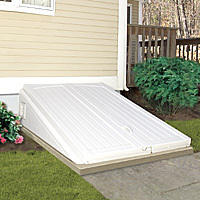 If the basement is on flat land, you will need an “Emergency Basement Door”. Note:The cost of this Emergency Basement Door is not included in this “Cost to Build” example. Basement Door - Ultra Series from Bilco: Satisfies IRC 2006 Building code requirements for emergency egress in finished basement areas. You should keep in mind that the cost to build for this example, or any house plan, can vary considerably depending quality of materials selected, and on actual bids for labor and material. Important Notice: Cost estimates change with time. YOU can update this 2018 estimate to see if it has, as well as experimenting with different building quality inputs that affect the cost to build.